Scattered across the mountainous region of Matarraña, 2 hrs south of Barcelona, Solo Houses are the brainchild of French developer Christian Bourdais. The project asks a new wave of young international architects to populate the landscape with small resort-style dwellings. 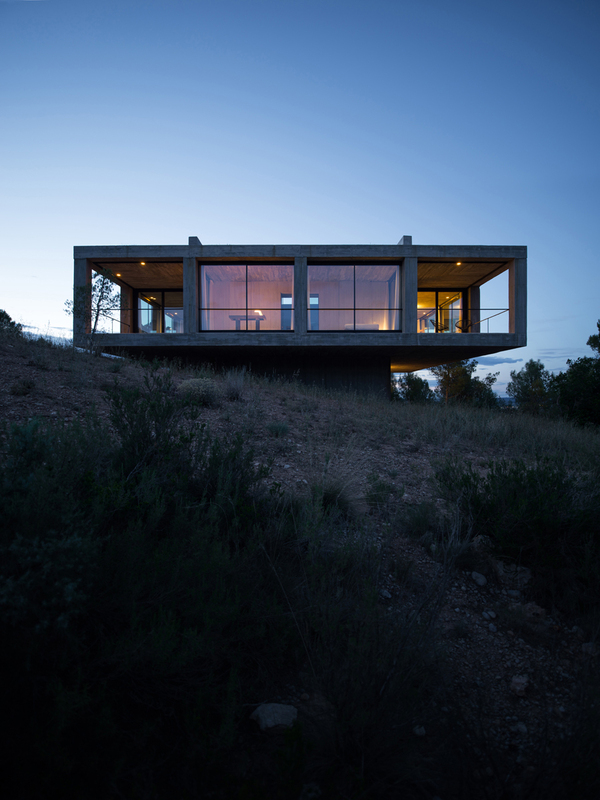 This is the first house to be built, by Chilean studio Pezo von Ellrichshausen, in 2013. The “Solo House” concept. 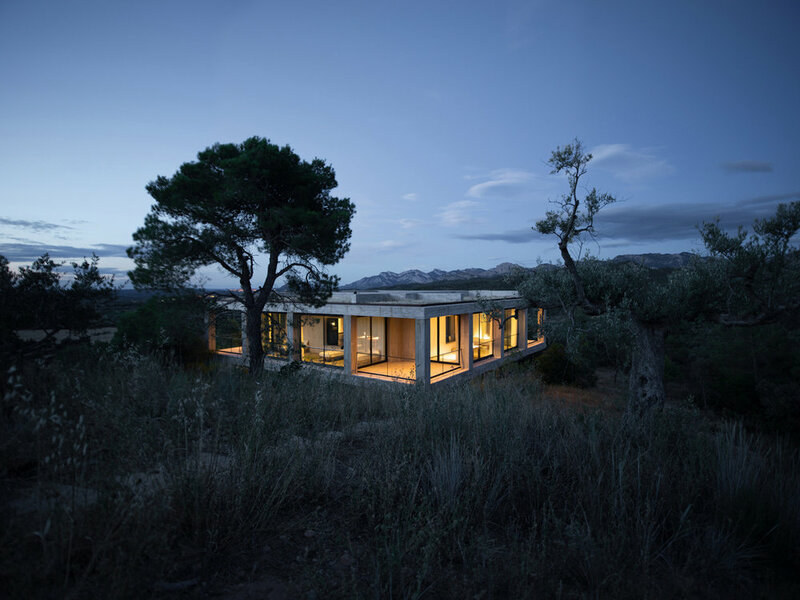 We want to cocoon ourselves in this incredible house located off the beaten track and stare at the landscape for weeks. Thanks to Christian Bourdais for his unique “Solo” vision! The plan. The section. Both symmetrical, with a spectacular central pool and outwardly facing rooms reminiscent of porches. 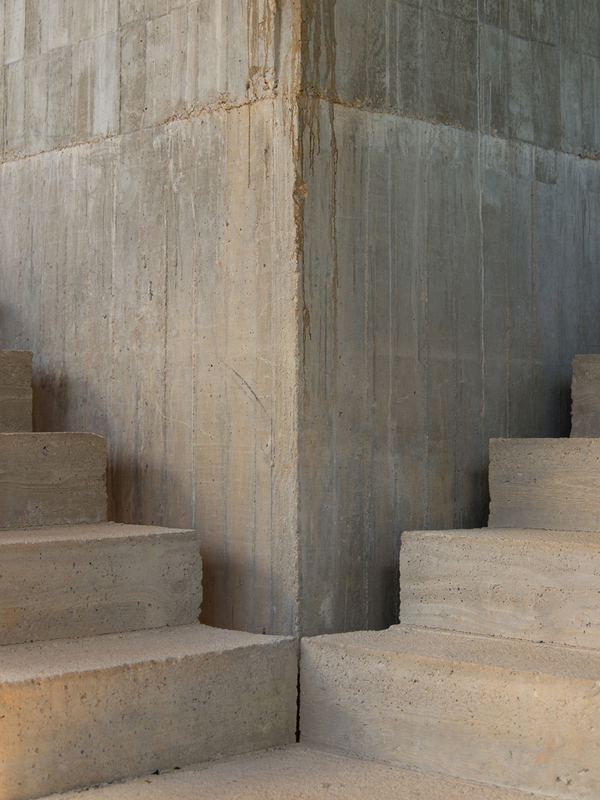 The straightforward geometry, articulated in concrete, feels monastic. Architecture as sculpture. 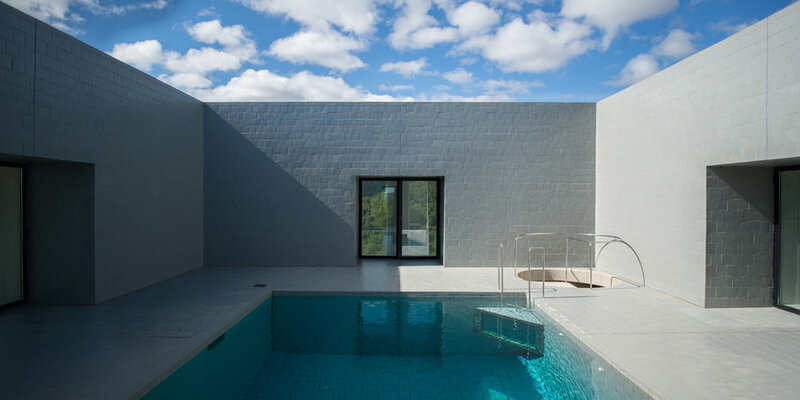 The house makes a strong statement in an equally powerful landscape. It holds its own against a backdrop of rugged mountains. Brilliant! The location. The Matarraña region, with its medieval villages, waterfalls, olive and almond trees and vineyards, is also known as Spanish Tuscany. It offers many opportunities for outdoor activities. Barcelona is a short 2-hour drive away. Pezo von Ellrichshausen is an art and architecture studio established in Concepcion, southern Chile, in 2002 by Mauricio Pezo and Sofia von Ellrichshausen. Their work has been distinguished with the Mies Crown Hall Americas Emerge Prize by the IIT (2014), the Rise Design Alliance Prize (2012), the V Iberoamerican Architecture Biennial Award (2006), and the XV Chilean Architecture Biennial Award (2006. The work of the studio has been edited in monographic issues of A+U, 2G, and ARQ and exhibited at the International Architecture Exhibition at the La Biennale di Venezia, at London's Royal Academy of Arts, and as part of the permanent collection at The Museum of Modern Art New York. Mauricio Pezo has been awarded the Young Architect Prize by the Chilean Architects Association (2006) and the Municipal Art Prize by the Concepcion City Hall (2013).